Newsroom / News Releases / Lights – camera – take action and give back to nonprofit Milwaukee Film! Lights – camera – take action and give back to nonprofit Milwaukee Film! 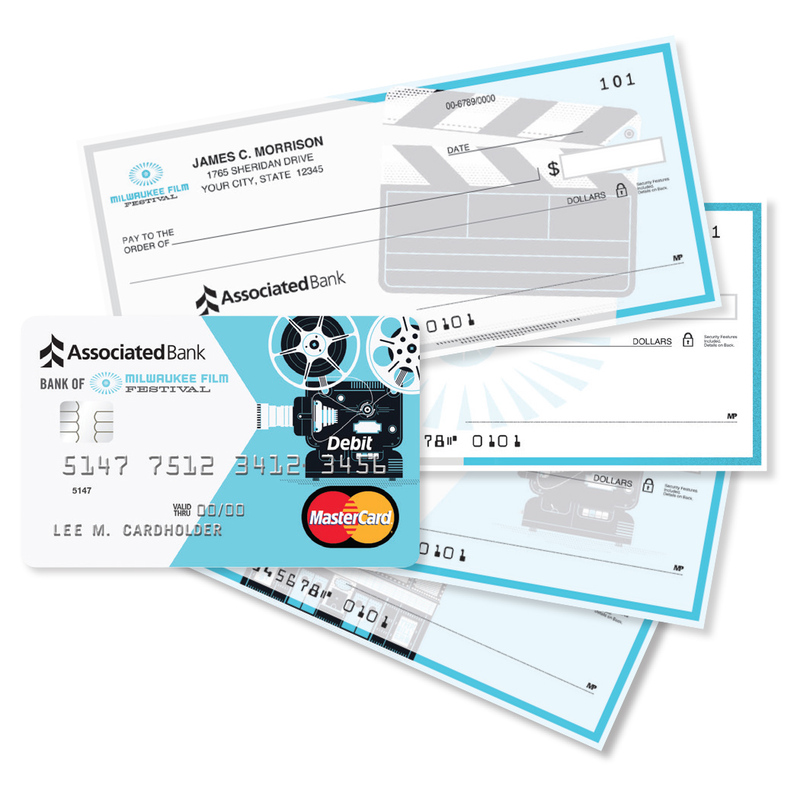 Associated Bank's new Milwaukee Film Checking program. MILWAUKEE – August 24, 2017 – Returning as the presenting sponsor and the Bank of Milwaukee Film Festival, Associated Bank is pleased to provide additional support through a new Milwaukee Film Checking program that gives back. With every Milwaukee Film Checking account and debit card transaction, five cents is donated to the nonprofit Milwaukee Film to help forward their mission of entertaining, educating and engaging our community through cinematic experiences throughout the year. Associated Bank’s partnership with Milwaukee Film has continued to grow over the past four years. The partnership is overseen by John Utz, Associated Bank executive vice president, Milwaukee market president, and head of Corporate Banking, who has served on the Milwaukee Film board since 2014, and Christopher Piotrowski, Associated Bank executive vice president and chief marketing officer. With Milwaukee Film Checking, movie fans can give back and enjoy additional red carpet benefits including cinema-themed checks and debit card, discounts on Milwaukee Film memberships and two complimentary film festival vouchers. "As a nonprofit organization that is experiencing incredible growth, Milwaukee Film is thrilled to be able to partner with Associated Bank," said Jonathan Jackson, artistic and executive director of Milwaukee Film. "With every single debit card transaction providing an opportunity to bring more students to the cinema, more dialogue surrounding important films, and building towards our own state-of-the-art cinema – this one of a kind card is such a unique win for Milwaukee Film and this community." Milwaukee Film is a nonprofit arts organization dedicated to entertaining, educating, and engaging our community through cinematic experiences. Milwaukee Film is supported by over 3,500 members and 100 sponsors annually. This year's 15 day film festival will take place from September 28 – October 12 at five cinemas around the city with an expected audience of 80,000. Discounted passes and ticket 6-packs are available now at mkefilm.org/tickets. Milwaukee Film recently signed a 31-year lease to begin operating the Oriental Theatre year-round on July 1, 2018. The 1927 built Oriental Theatre is a three screen "movie palace" with nearly 1,500 seats total that has been recognized by Entertainment Weekly and USA Today as a top ten movie theater nationally. For more information, visit us online at mkefilm.org. Five cents from every transaction (less returns) made with a Milwaukee Film Festival debit card will be given back to the Milwaukee Film Festival, up to $25,000 annually. Memberships are valid for 12 months. Dual memberships are available only to members that reside at the same address. Discount is available for new membership or at time of renewal. Show your Milwaukee Film Festival debit card or checks when making a purchase or call 414-755-1965 x204 for more information. All benefits are subject to change. See mkefilm.org for membership information. Each voucher must be redeemed for a regularly-priced ticket at any festival box office no less than one hour prior to the desired film’s scheduled show time. Exclusions may apply.